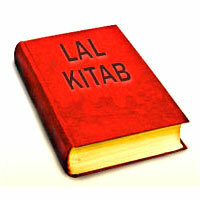 The oldest scriptures of the world are the Vedas and Vedas are supreme knowledge. 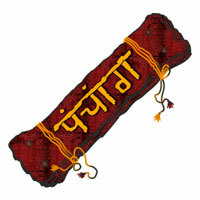 In beginning Vedas were undivided and were known as 'SRUTI'. But as time advanced, these were divided into four parts viz. Rigveda, Yajurveda, Samaveda and Atharvaveda. Historical facts hold that Rigveda is the first written document of the world. 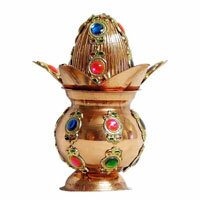 Vedanga, such as Vyakaran, Nirukta, Siksha, Kalpa, Chhanda and Jyotisha developed likewise. Thus Jyotisha is Vedanga i.e. a limb of Vedas. 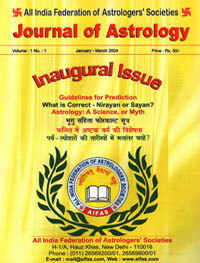 In fact, Jyotisha Shastra, or Astro Science has been accepted as the eye of Vedas. Thus it is very clear that before learning Vedas one must learn Jyotishaa or Astro-Science. 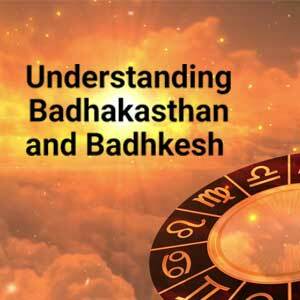 This Jyotisha Shastra or Astro-Science is further divided into three sections. The first one is Sidhanta Sakanda, or Astronomy, the second one is Hora Skanda, which deals with the study of the impact of heavenly bodies on Jataka, or human and the third one is Sakha Skanda, which tells about the study of rising, setting, retrogression and various other aspects of planets. The very name Astrology is derived from the words 'Astro' meaning star and 'Logos' meaning reason. Thus the word Astrology means the reason , or logic of stars. In vedas it is called 'Jyotisham' which means the science of the bright heavenly bodies. In Sanskrit it is known as 'Hora-Shastra', the science of time. Thus in few words it can be said that Astrology is the science which co-relates the stars, time, reason and the earth. That is the reason Astrology covers the influence of stars and planets on human beings, animal kingdom, future of the country, various diseases, floods, earthquakes, weather and market etc. affecting both the animates and the inanimates. Thus our sages by their powerful intuition and foresight could discover that though the man is mortal, but his soul is immortal. The results of our deeds good or bad, remain stored in an unknown form to affect us at its own time reason Vedic knowledge holds that as the reason for our being subjected to re-birth time and again, to settle our score with destiny, born out of our past deeds. Now we come to the scientific reasons to prove that Astrology is a science. On a full moon doctors generally avoid surgery without citing any reason, since they do not have one but astrology tells that on a full moon if a person is operated, it can be harmful due to excessive bleeding. In many places people do not cut bamboos on a full moon, as to prevent it from worm infestation, be cause if a bamboo tree is cut on a full moon, it looses much of it's fluid. On a eclipse scientists have only one theory that it happens because the light omitted by Sun is blocked either by moon or by earth. But can they tell the reason that whenever there is an eclipse, either sages, with their sheer intelligence, have given the reasons for this phenomenon. Regarding this one can find it's mention in the oldest scripture Rig-Veda, vide Mandala 5, Sukta 40 and Mantra 5.9; that is when Rahu (Swarbhanu) covered the Sun with darkness (Tamasa) the individuals having no knowledge of astronomy (Kshetra Vidya) were surprised. It was only sage Atri, who was an authority on astronomy, knew the reason and timing of eclipse in details, as he described the commencement of the event (eclipse) and its ending time perfectly, while one else was able to find any reason for an eclipse. Similar description stands mentioned in the name of sage Atri in Tandya Brahmana, vide Manadla 6, Sukta 6 and Mantra 8. Again in Mandala 14, Sukta 11, and Mantra 15 the description of the occurrence of an eclipse and its timing, ie. the beginning, the middle and the end of eclipse. The role of Sun, Rahu and the umbra/penumbra has been clearly hinted at. Again Rigveda in Mandala 10, Sukta 4 and Mantra 55 has a word "Panchdevan Ritusheh", which means five planets from Mars to Saturn represent five elements i.e. fire, earth, ether, water and air, which form the basis of all creations. They also represent the five seasons. 1. Natal Horoscopy : This branch of astrology deals with horoscopes of individuals made at the time of their birth and studies are conducted related to one's general as well as specific problems, with permutations and combinations of planets, their placement in various houses and relevant Dasa. 2. Horary : This is an important branch of astrology, which many a time scores over the natal horoscopy. An instant query can be answered in a perfect and authentic manner. 3. 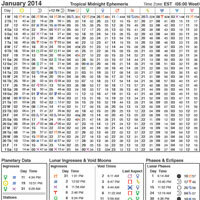 Mundane Astrology : This branch of astrology deals with the National and International forecasting. Great Varahamihira, an ancient astrologer, has made comprehensive mention of this subject in his classic Brihat Samhita. This branch also deals in forecasting of market trends, rains, earthquakes etc.